In need of a front strut tower brace? 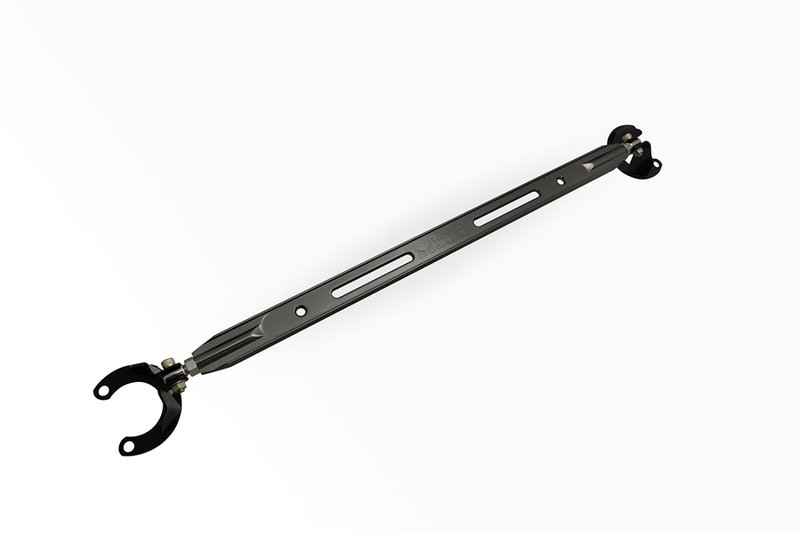 Megan Racing Front Strut Tower Brace will improve the lateral rigidity of your vehicle substantially and improve the handling feel when you push the suspension to it’s limit. Therefore by bolting the strut towers together they now act as one when you enter into a hard corner rather than individually being put under stress where they do not react in the same manner. As a result you can expect more solid feel and reduced body roll. Another added bonus is dressing up the engine bay. These strut tower braces feature quality appearance and detail. In other words installing a Megan Racing strut tower brace is a win win situation. 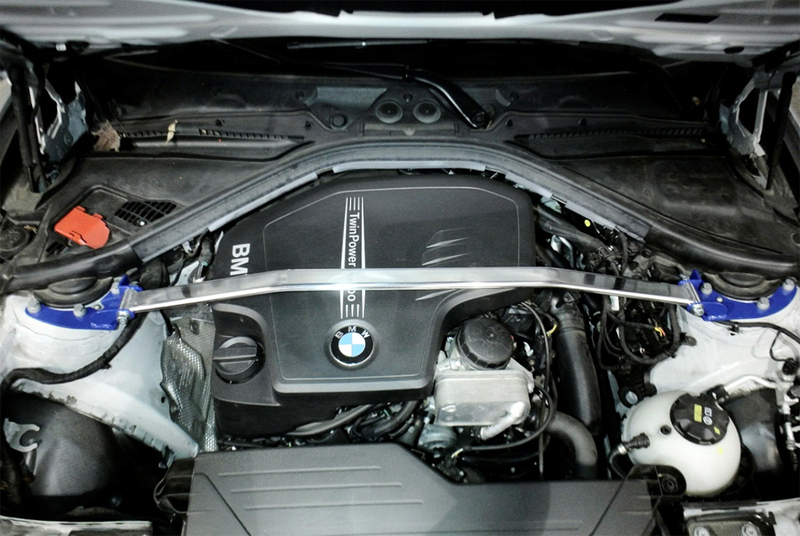 Looking to upgrade your vehicle with a strut tower brace? Megan Racing Race Spec Strut Tower Brace is constructed of strong Aluminum to extremely tight tolerances and then polished to perfection. Designed to decrease body roll, this bar ties the chassis from left to right at critical stress points (Between the shock/strut towers). As you drive and maneuver, your car undergoes many different forces that the chassis of the car absorbs; the brace helps to absorb the energy and directs these forces into your suspension components so that they can better do their job and serve their purpose more effectively. A must for any track-driven, and a great addition to any street or show car, this bar truly lives up to the Megan Racing name. Driven By Style a Megan Racing authorized dealer for more than 10 years. We have the experience and knowledge to answer any questions you have on strut tower braces. Additionally we guarantee the lowest price on Megan Racing products. In conclusion it is our goal to be your one stop shop for Megan Racing performance and suspension upgrades.